Twenty years after the events that followed the fall of Srebrenica’s Muslim enclave, Médecins Sans Frontières/Doctors Without Borders (MSF) is publishing for the first time the case study ‘MSF and Srebrenica 1993–2003’. The enclave was besieged in 1993 and then seized by Bosnian Serb forces in July 1995. During the struggle 8,000 men over the age of 16 were massacred, despite the presence of United Nations peacekeeping forces supposedly providing protection in what had been declared a ‘security zone’. Despite the difficulties encountered in bringing in the necessary materials, MSF logisticians succeeded in converting public buildings into accommodations for 20,000 people who were sheltering in the town. With two medical volunteers present, MSF testified to what happened and called on the various countries involved to hold inquiries and establish where military and political responsibility lay for the fall of the enclave and the abandonment of the people of Srebrenica. The case study draws from internal field reports, press articles, transcripts from the testimonies of MSF field staff. 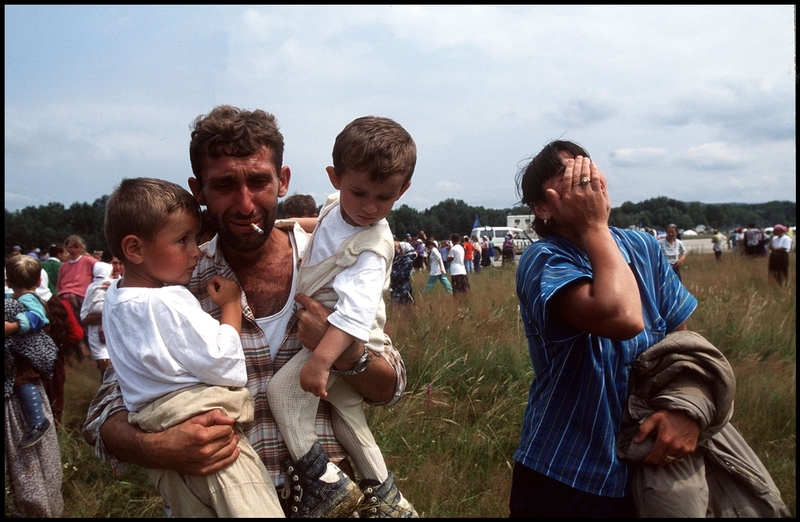 July 1995 Tuzla: Refugees from the Srebrenica enclave (women, children and elderly), just one day after it's fall. Additional video footage from MSF and the media are also available. It illuminates the dynamics, dilemmas and disagreements underlying MSF’s humanitarian response to the events in Srebrenica. This research explores the constraints and dilemmas raised when MSF spoke out about the events: Could MSF call for the evacuation of civilians who wished to leave thereby risking abetting the ethnic cleansing policy of the besieging army? Didn’t MSF give the population the false impression that it would be safe as long as the team was present? Having trusted the UN Protection Force’s commitment to protect the enclave and its population, must MSF accept partial culpability for or complicity in the UN’s abandonment of the enclave and the ensuing massacre of the population? Contrarily, how can MSF not try to understand the circumstances and responsibilities, which, at the global level, led to the abandonment and massacre of a population to which its teams had provided relief?